Dr. Maurice Benjamin at All American Smile Dental can rejuvenate your smile through teeth whitening treatments at his Brooklyn, NY, and Manhattan, NY, offices. If you are in good oral health, and wish to achieve a brighter smile, this treatment can lighten your teeth by up to eight shades. To learn more about how you can benefit from teeth whitening, contact our office today. Patients have choices when it comes to whitening their teeth, but it is important to know that not all whitening options produce the same results. While over-the-counter treatments are affordable and readily available, they provide subtle results at best. Meanwhile, some bleaching products can damage your teeth. Teeth whitening procedures conducted in our office are supervised by Dr. Benjamin, helping to minimize the risk of complications and maximize the aesthetic transformation of your smile. When you visit our office for a teeth whitening appointment, Dr. Benjamin will first thoroughly clean your teeth and gums to ensure that tartar, bacteria, and food particles do not compromise the effectiveness of the bleaching. The in-office whitening agent contains a high concentration of hydrogen peroxide to achieve dramatic results. We will place a protective barrier over your gums to focus the treatment on your teeth and ensure your comfort. When applying the whitening agent, we will evenly cover the surface area of your teeth to ensure a uniform and natural look. It will break down the stains for a prescribed amount of time. The bleaching agent is usually removed and reapplied in intervals of fifteen minutes. The longer the exposure, the greater the effect. Depending on your treatment goals, Dr. Benjamin may also use a special light to intensify the bleaching effect. Once all of your whitening intervals are complete, the bleaching agent is removed entirely from your teeth. In total, the treatment session typically lasts one hour. It may take two or more visits to achieve the shade you desire. We may also recommend supplemental treatments every few months or years to help maintain the whiteness of your smile. Teeth whitening only works on extrinsic dental stains. Whitening cannot eliminate stains on the inner layers of the teeth. In some cases, veneers are the only way to conceal these stains. Meanwhile, if you are planning to receive a veneer, undergoing whitening first can result in an even more dramatic enhancement. Additionally, patients should know that restorations such as veneers, crowns, and dental bonding do not respond to whitening. 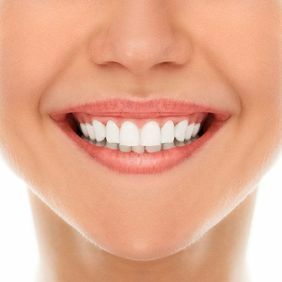 Professional teeth whitening can provide a number of benefits. In-office treatments are fast, allowing you to experience a whiter smile in about an hour. The procedure can also enhance confidence and self-esteem, positively impacting your professional and personal life. If you are in good oral health, and wish to achieve a brighter smile, this treatment can lighten your teeth by up to eight shades. Dr. Benjamin can tailor an in-office whitening treatment to fit your aesthetic goals. Contact our practice today to schedule your appointment.